Wow! 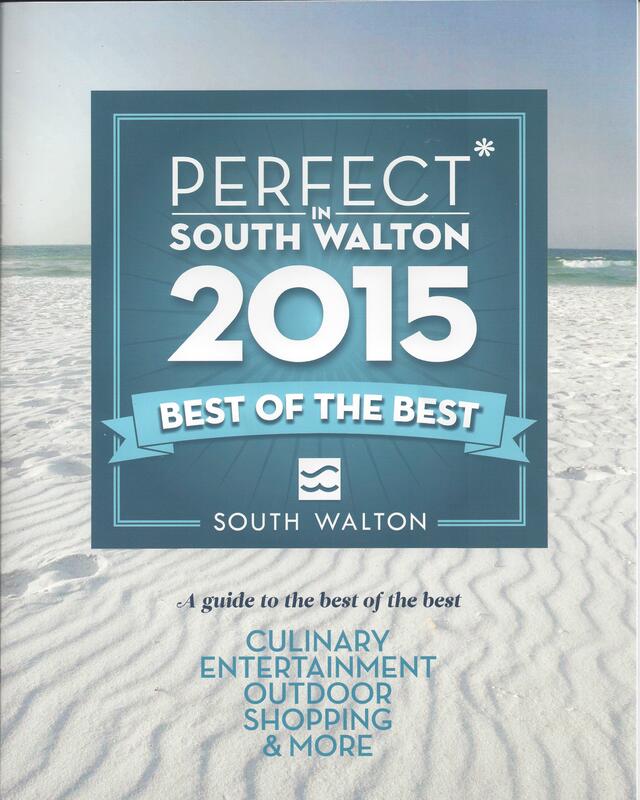 We are a South Walton 2015 Best of the Best in Shopping “Art and Design”! Thanks to all our loyal customers and friends who made this happen. We are humbled and grateful! REGISTER NOW before classes fill up; and they will! Held at the WaterColor Inn & Resort, you can choose from two class dates in June. Check out the photo gallery (below) to see how much fun you’ll have and the amazing artwork you will create! 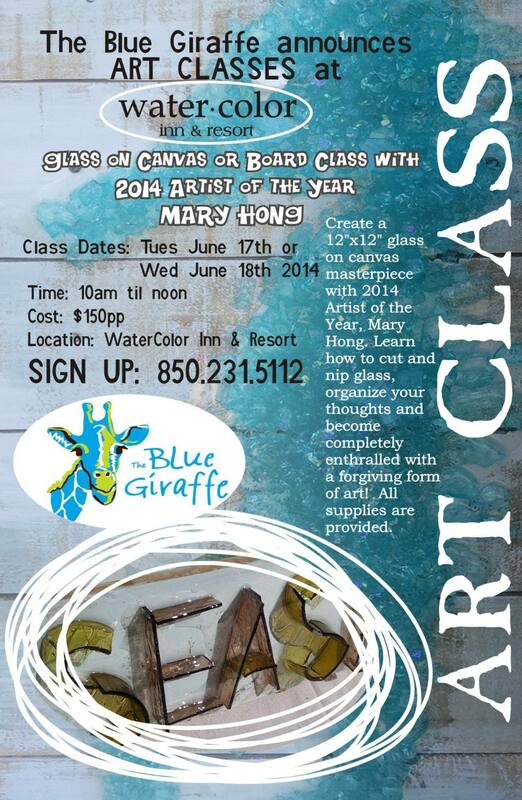 Create a glass on canvas masterpiece with 2014 Artist of the Year, Mary Hong. Learn how to cut glass, organize your thoughts!! and become completely enthralled with a forgiving form of art! You will never look at glass the same way again. All supplies are provided. Art will be ready the day after class and can be picked up at The Blue Giraffe. We are located on Hwy 30A directly across the street from the beautiful WaterColor Inn. 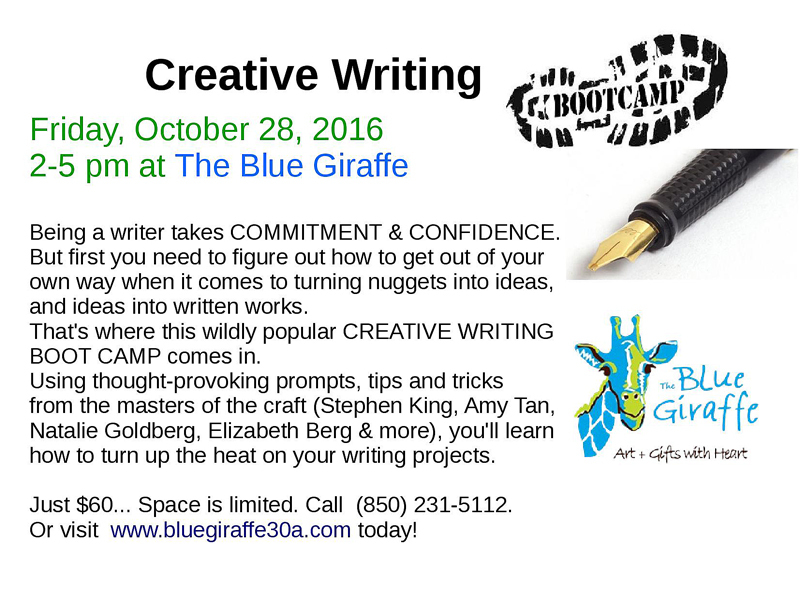 Call The Blue Giraffe at 850.231.5112 to Register and Prepay. 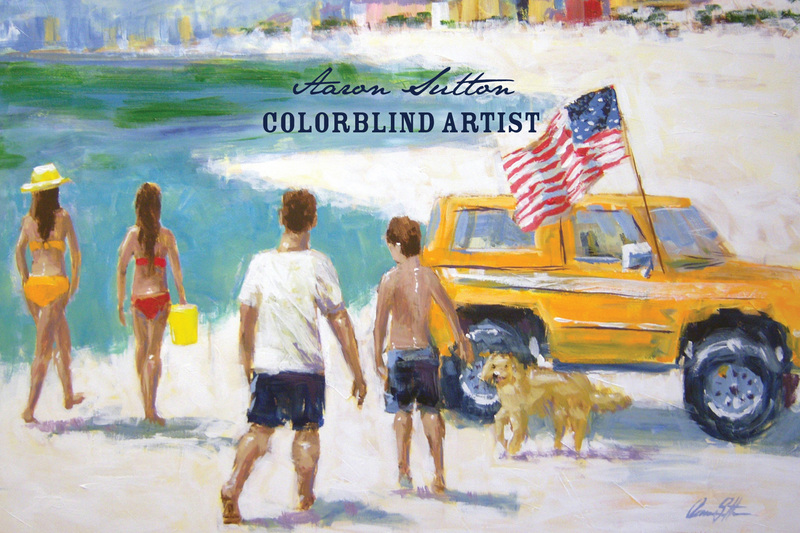 Colorblind artist, Aaron Sutton, was our guest artist at Artsquest “Gallery Night” on Thursday, May 8, 2014! 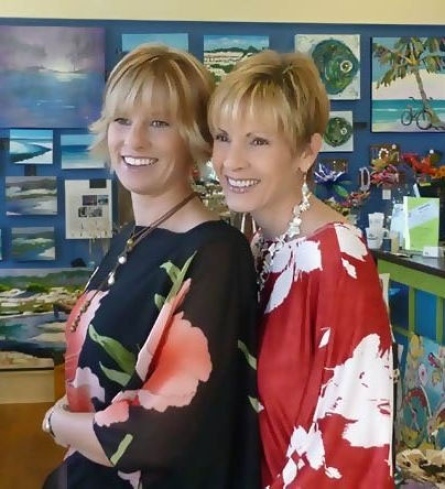 Proceeds from the evening’s sales benefited the Cultural Arts Alliance of Walton County. 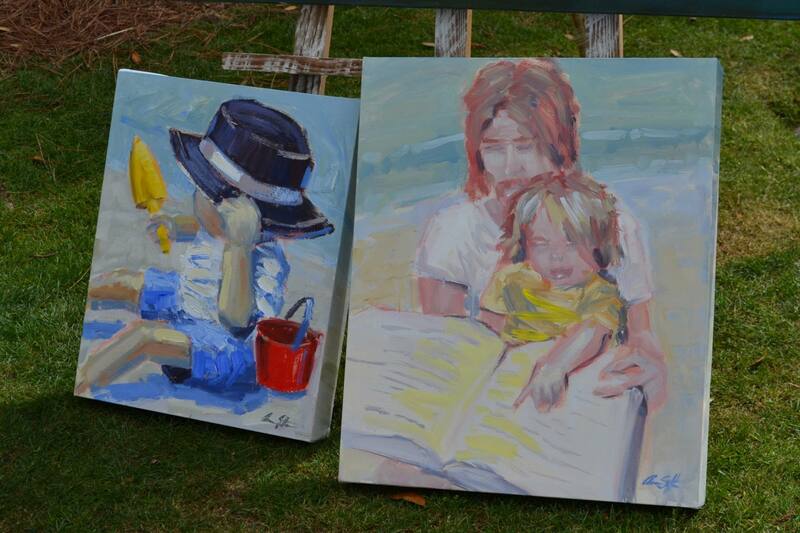 Aaron welcomes custom requests and will create an amazing painting from your photograph. 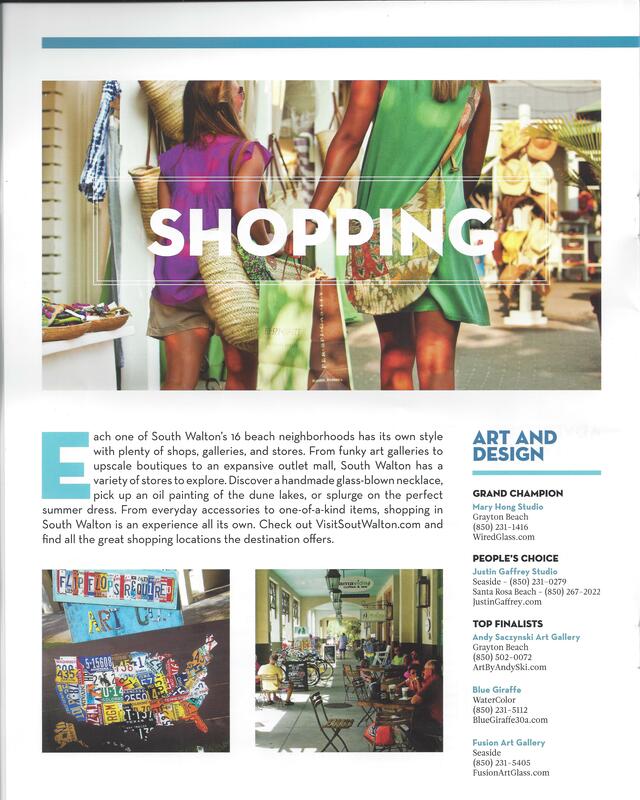 An original piece of artwork by this wonderful 30A artist would make a very special gift. 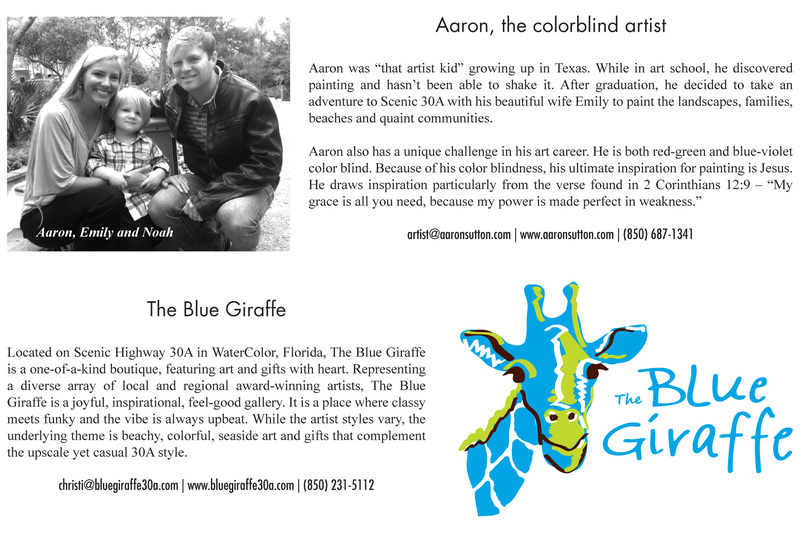 Contact The Blue Giraffe to see how easy and fun it is to commission your own masterpiece.